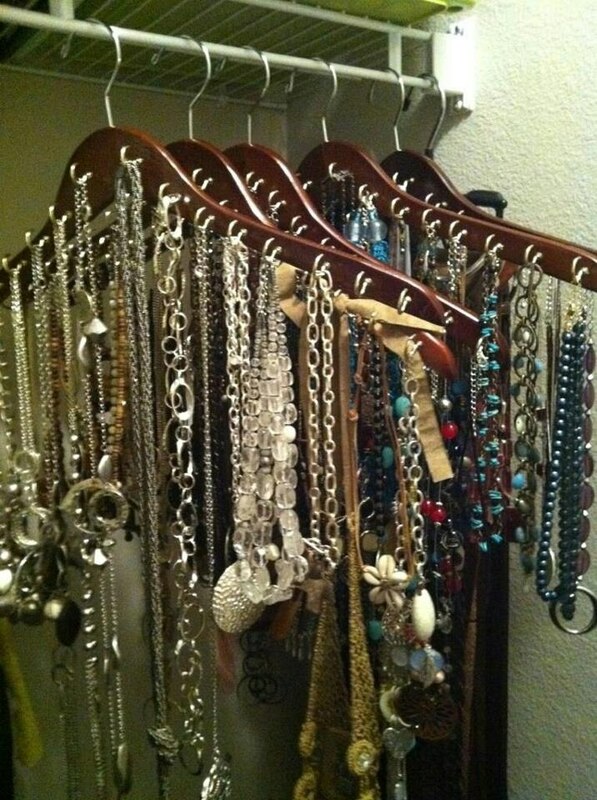 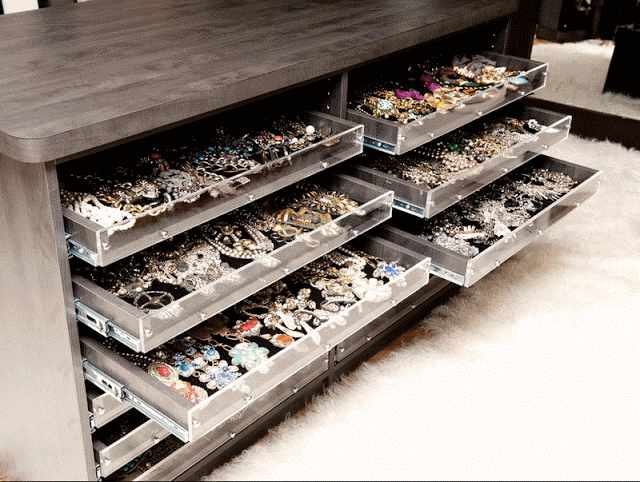 Those of you who already have organized your makeup probably want to organize your jewelry too. 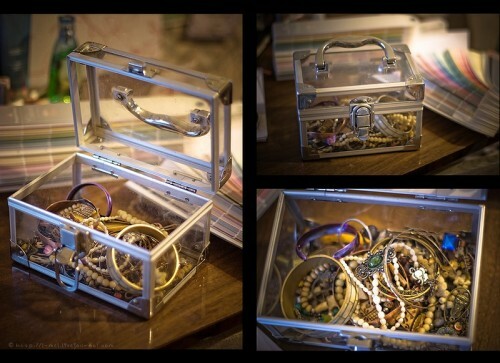 There are many solutions for that including simply putting everything in one box. 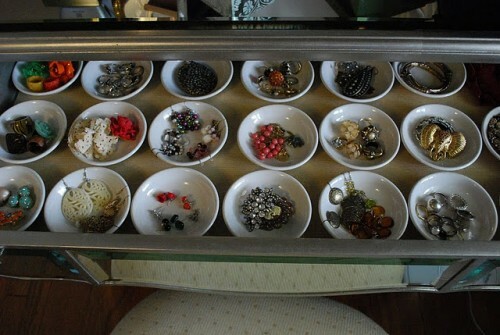 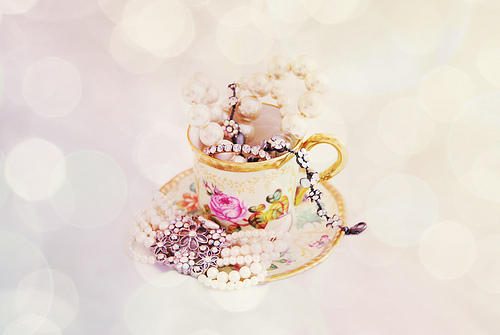 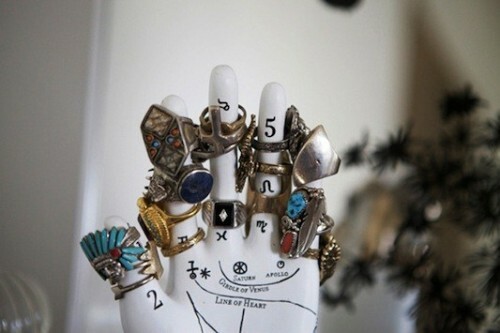 Although that might not be an option if your jewelry collection is extensive. 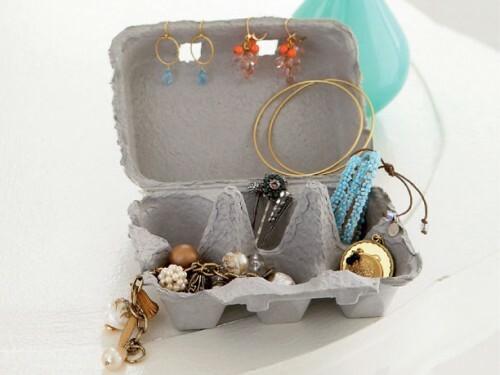 Besides that, some people like to put jewelry in a box until they wear it next time. 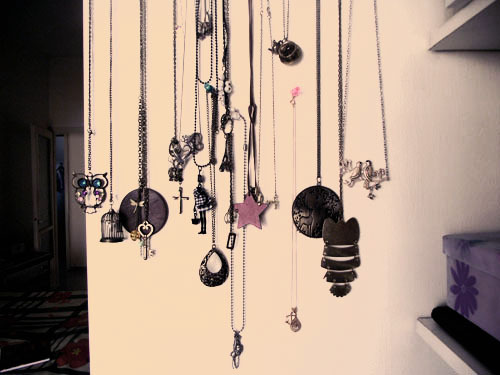 Others like to display it. 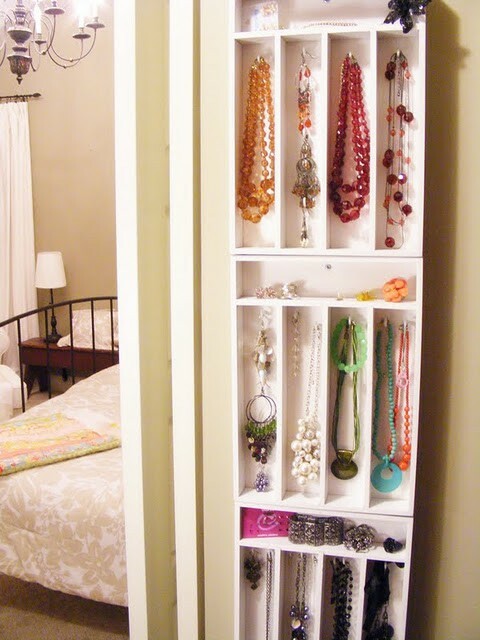 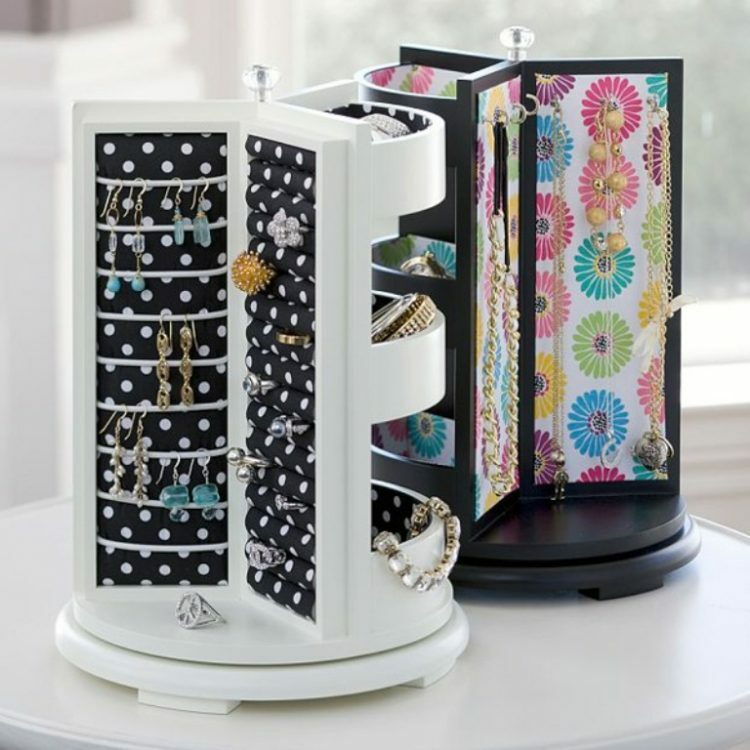 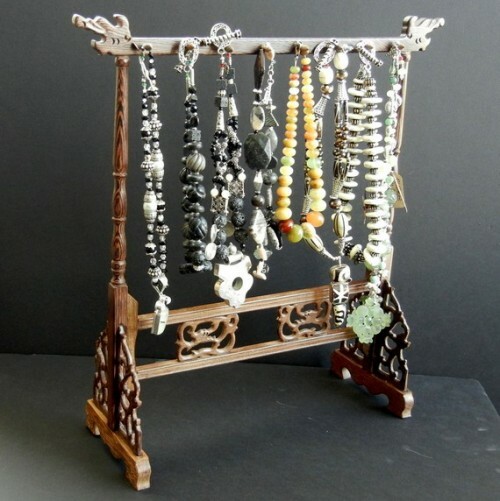 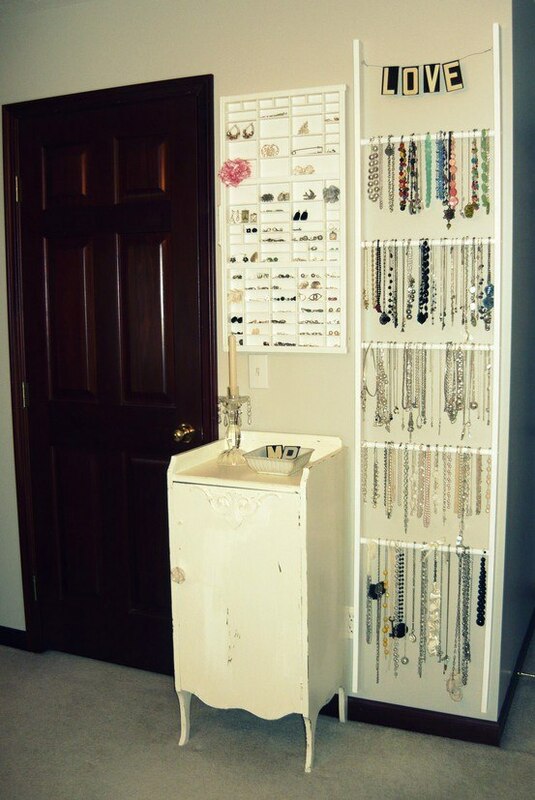 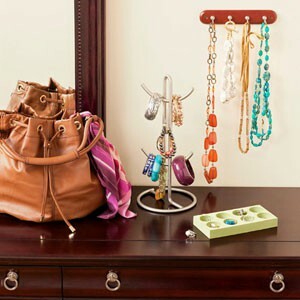 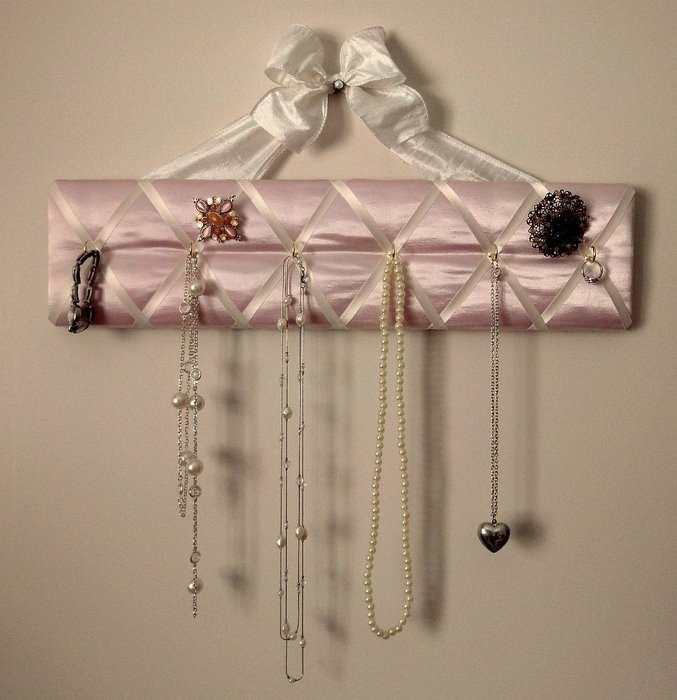 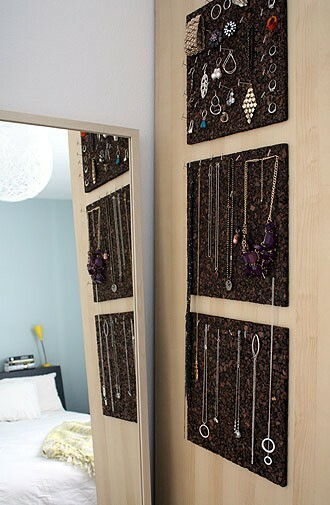 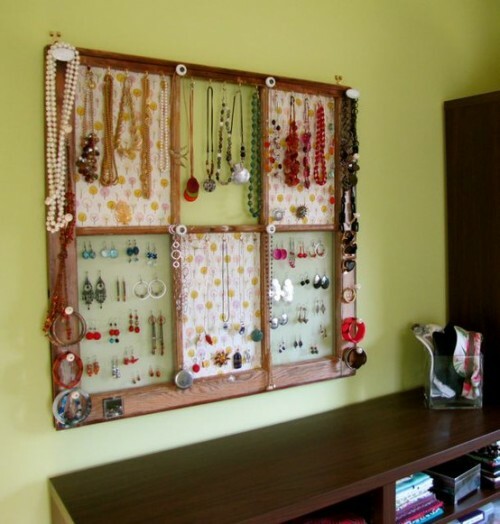 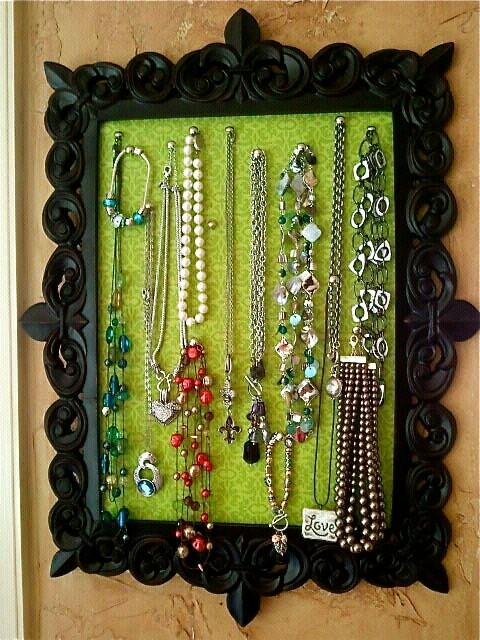 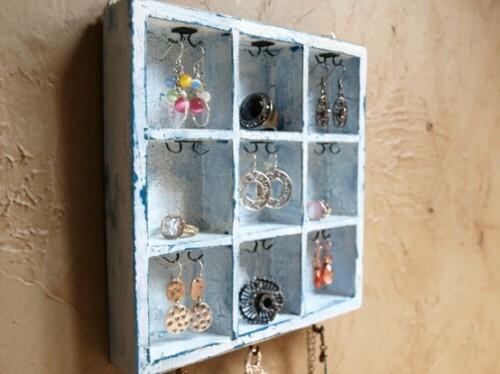 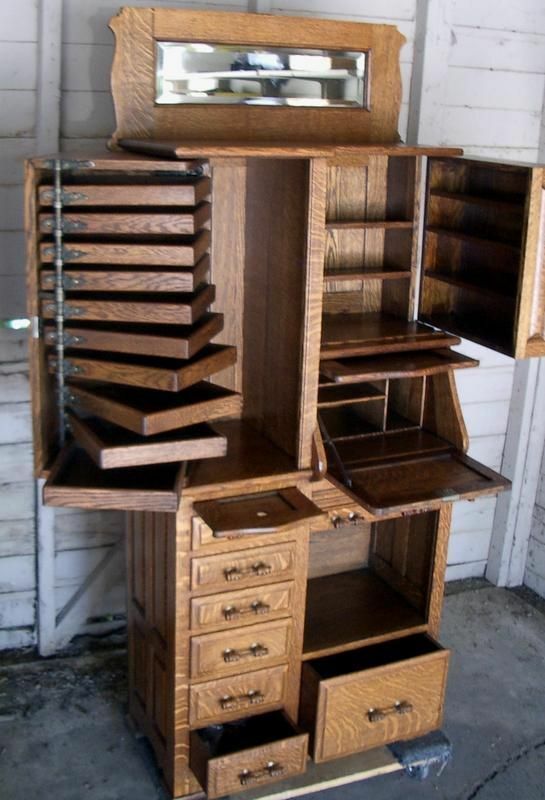 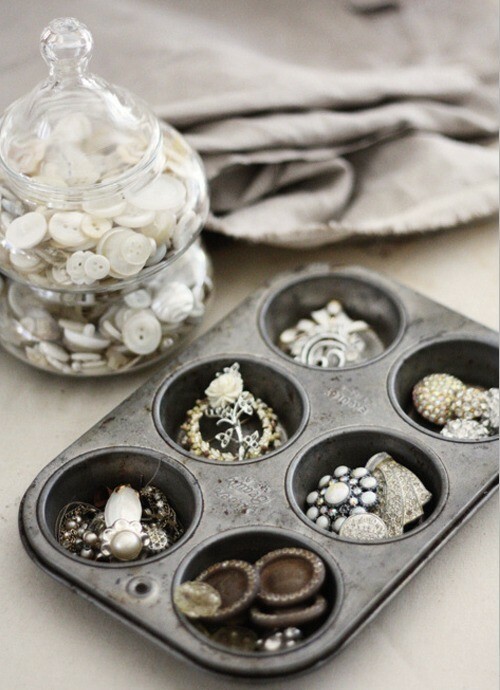 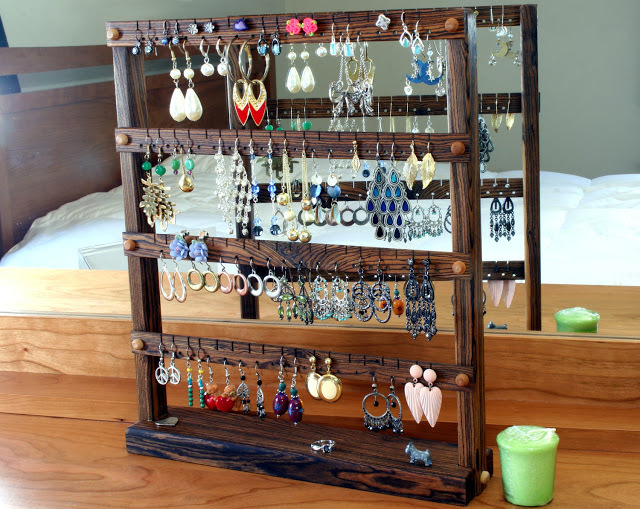 We will show you here different options including those jewelry organizers you can DIY. 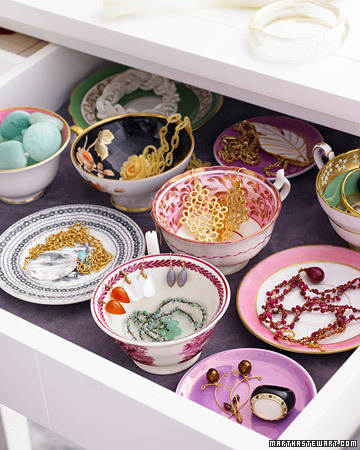 First of all, you can use simple bowls to show highlights of your jewelry collection. 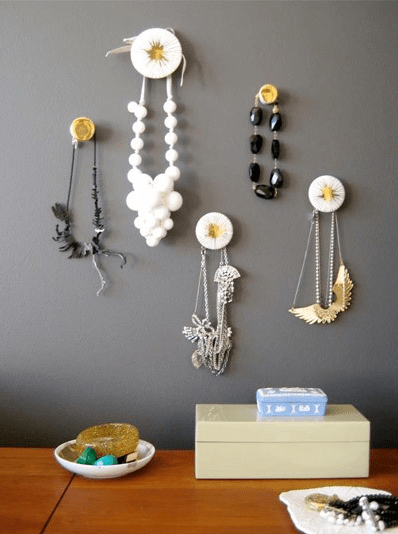 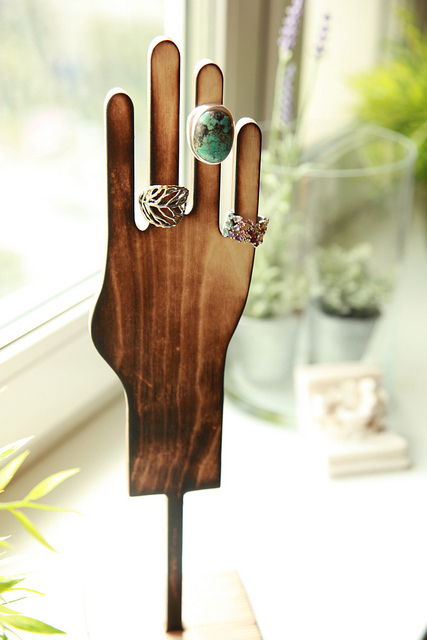 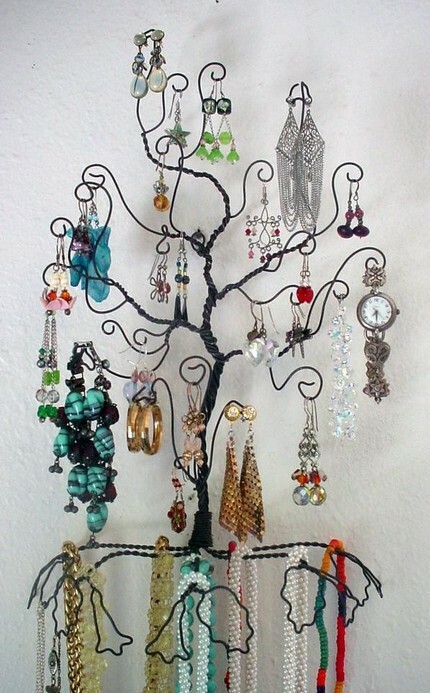 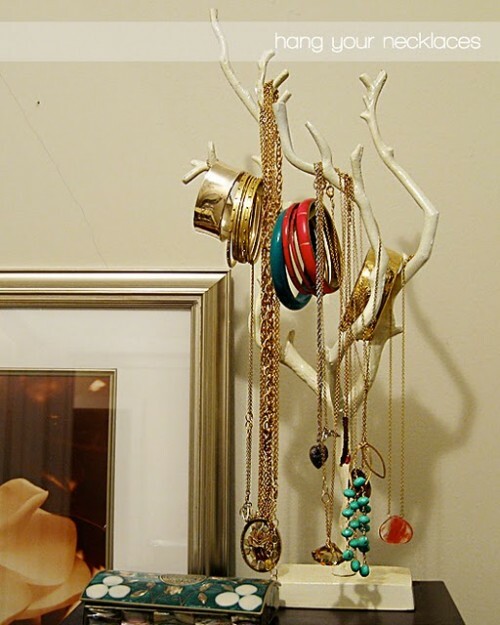 Among other creative solutions are DIY jewelry trees, different standing frames and racks and of course, DIY modified picture frames. 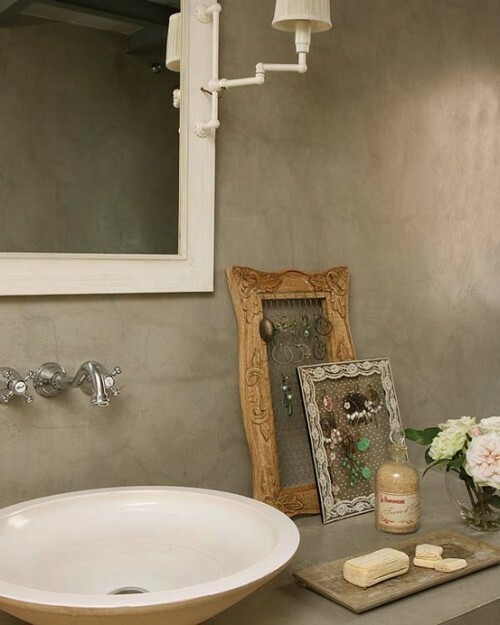 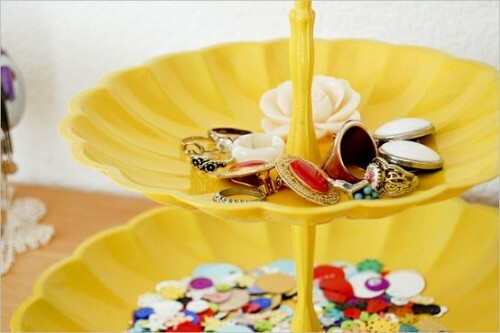 Most of these DIY solutions are very budget-friendly cuz they won’t cost you a dime. 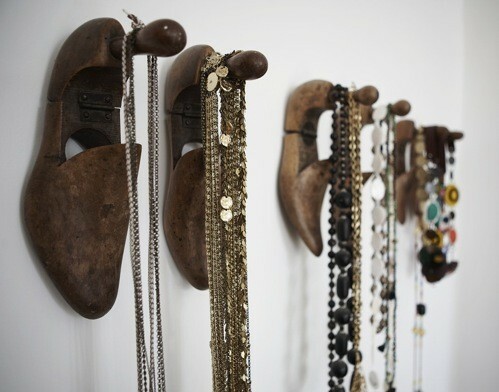 Besides, they could be interesting objects of your decor by themselves. 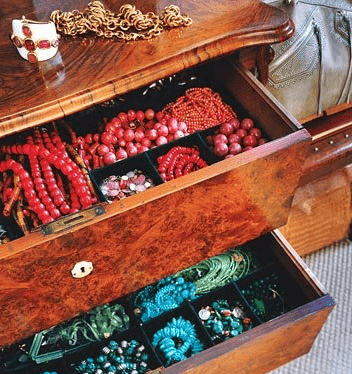 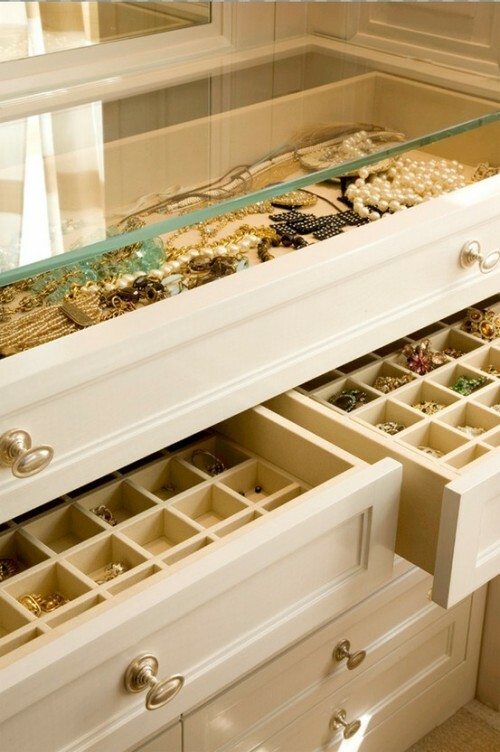 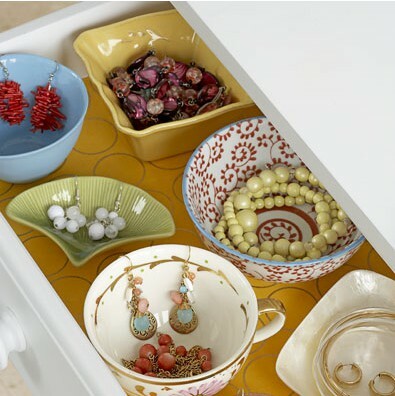 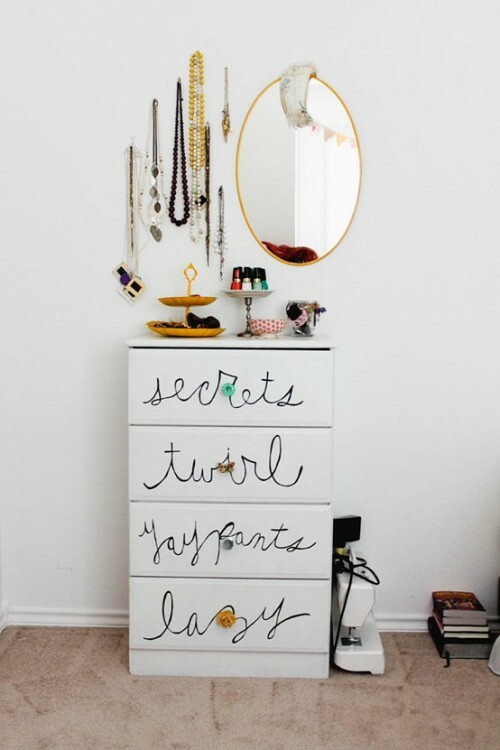 If you like to hide your jewelry standard drawers would work like a charm. 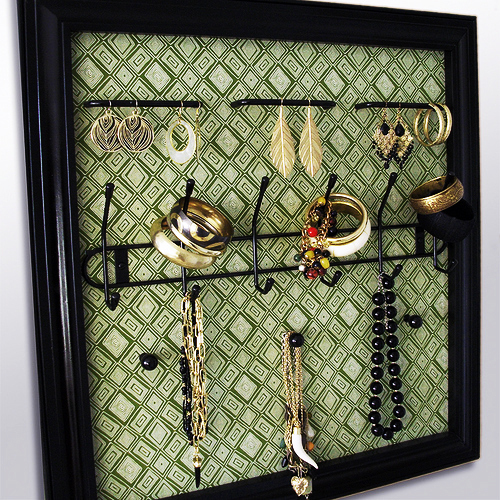 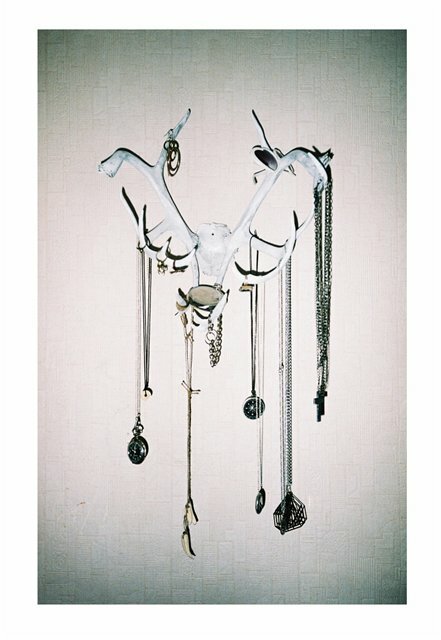 Although we recommend you to use jewelry organizers. 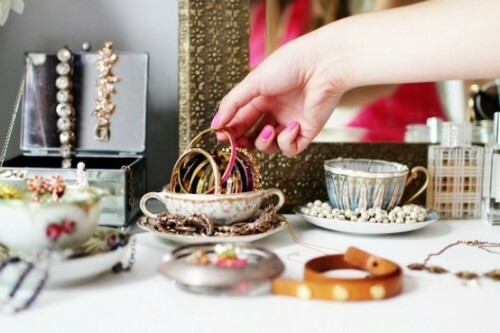 Below you’ll find lots of ideas how that could be done. 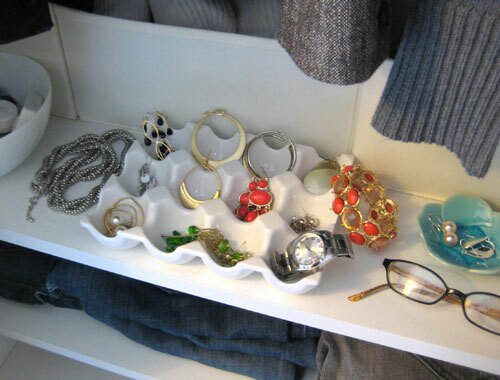 By the way, bowls can act as such organizers too. 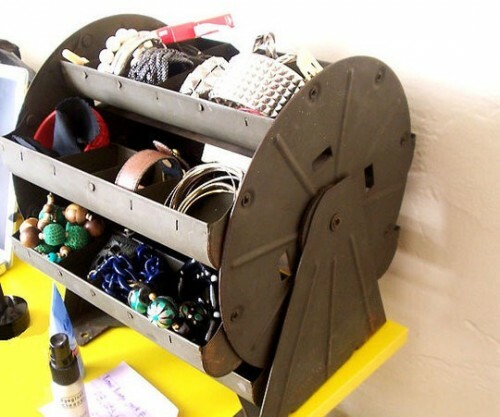 You probably know that IKEA makes lots of pieces that can be hacked and personalized. 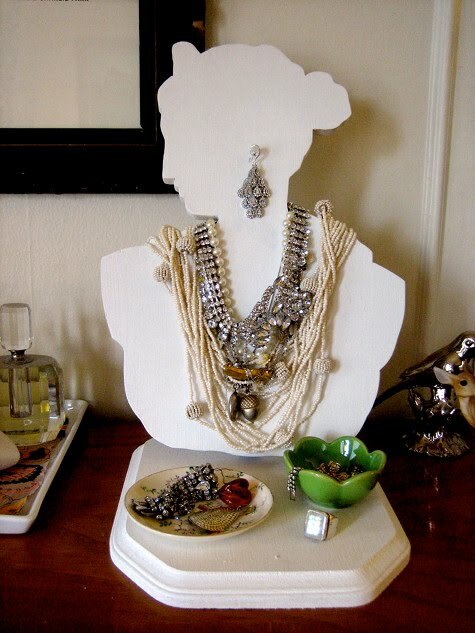 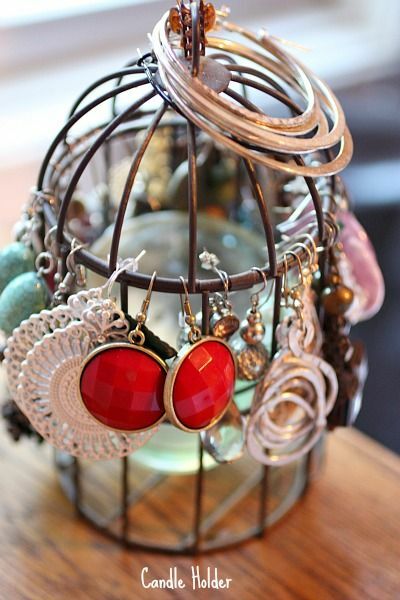 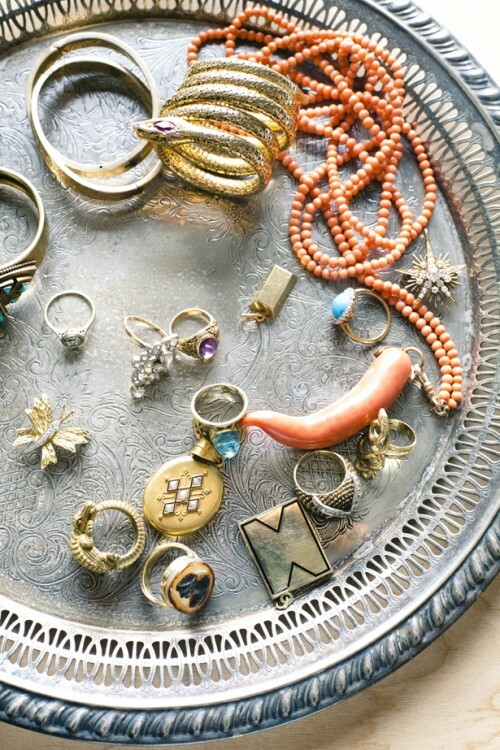 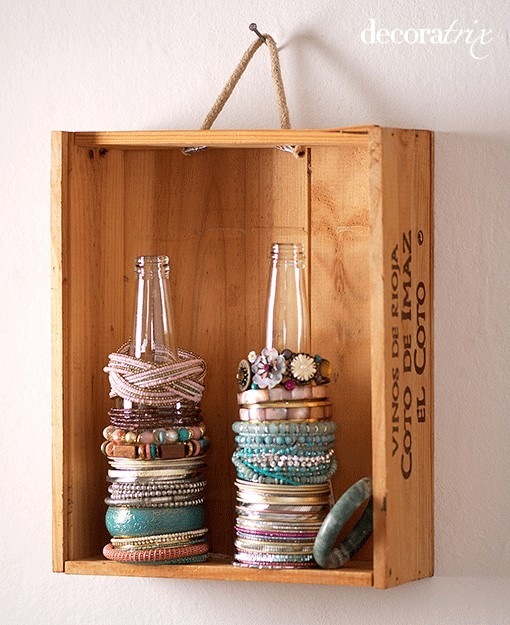 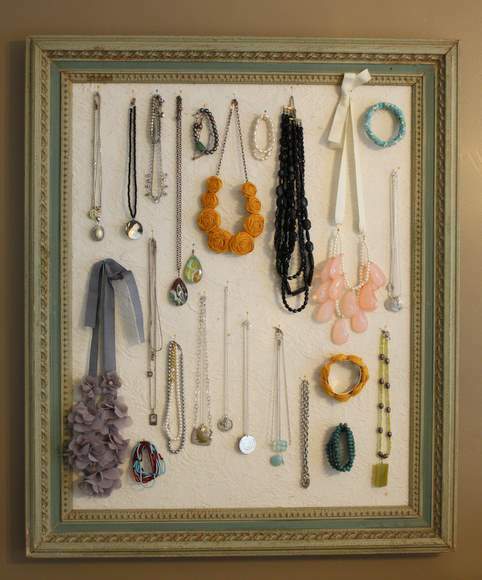 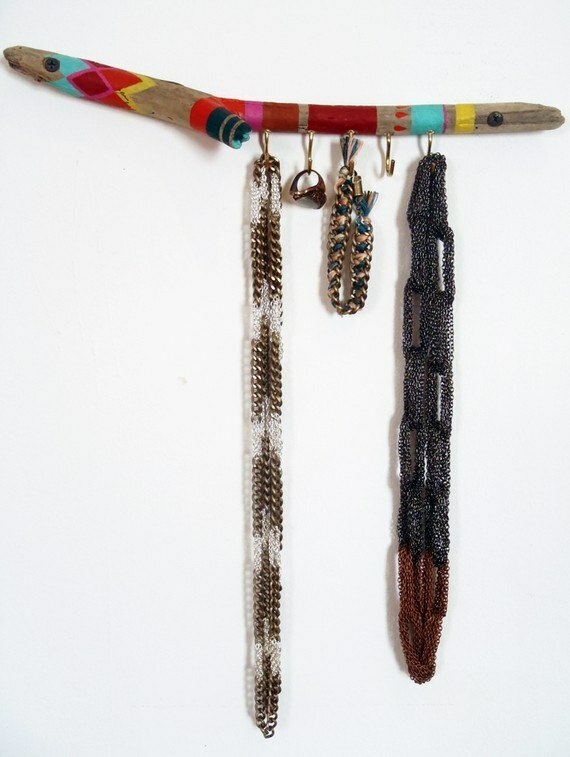 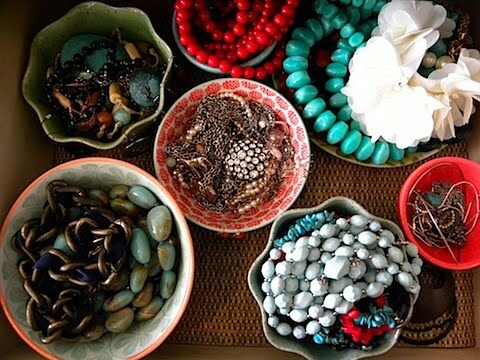 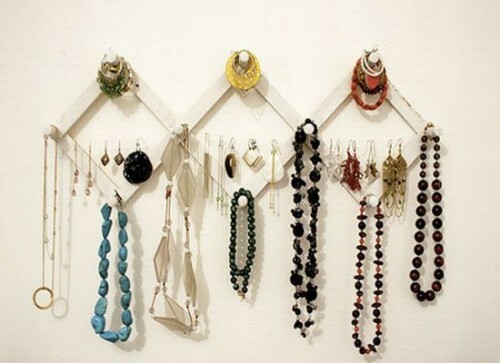 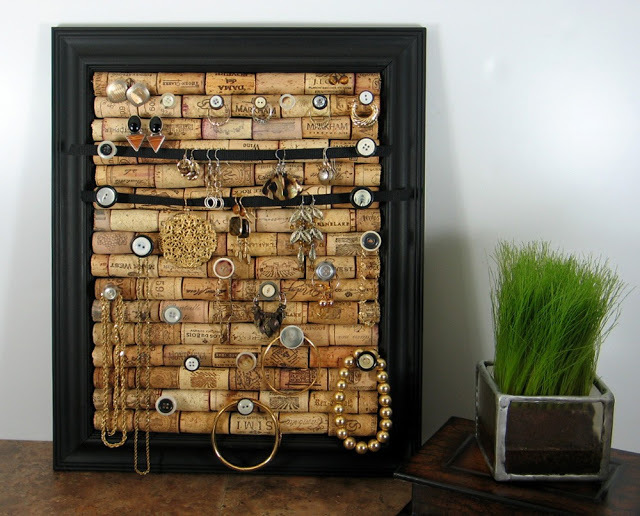 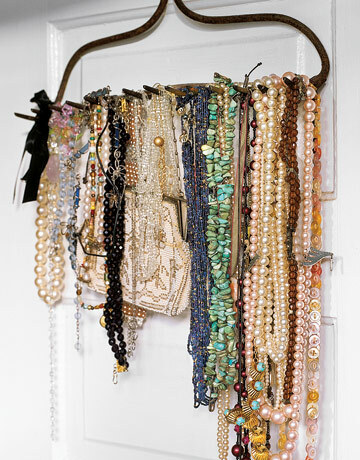 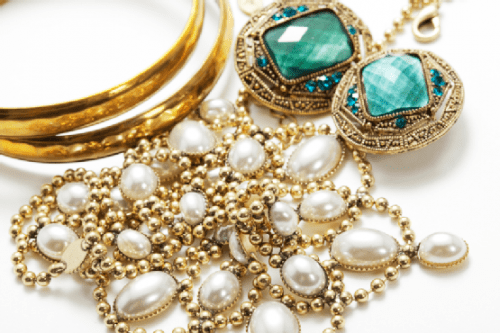 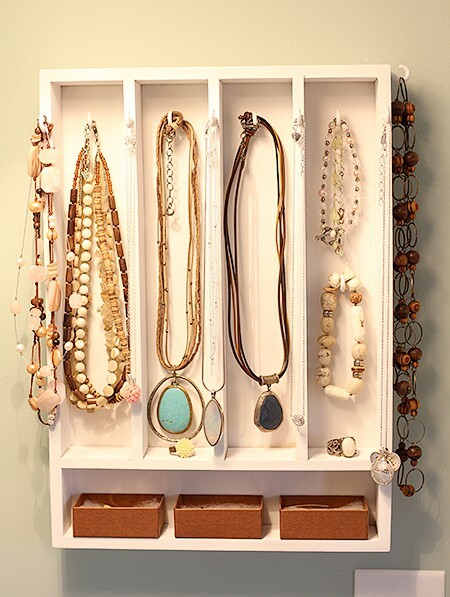 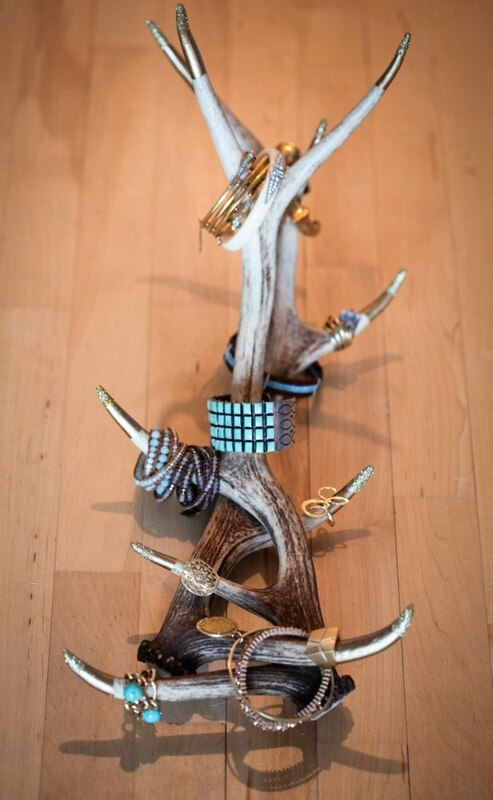 Of course some of these DIY hacks could be used to organize your jewelry. 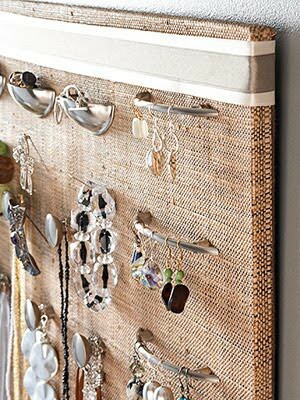 Spice racks, kitchen organizers, trays, dishes and even cooking boards from IKEA could work well for the purpose. 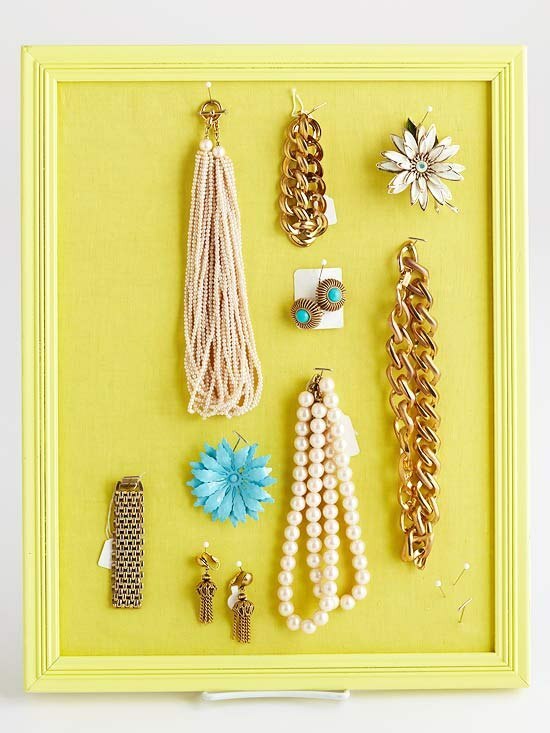 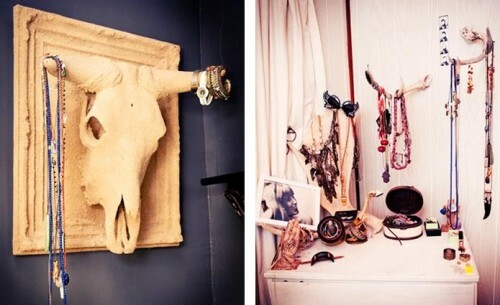 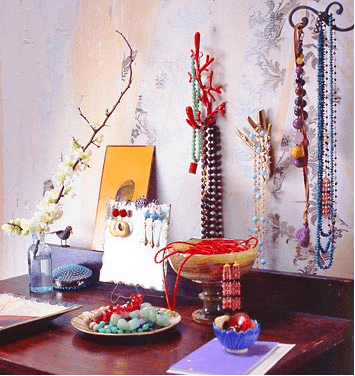 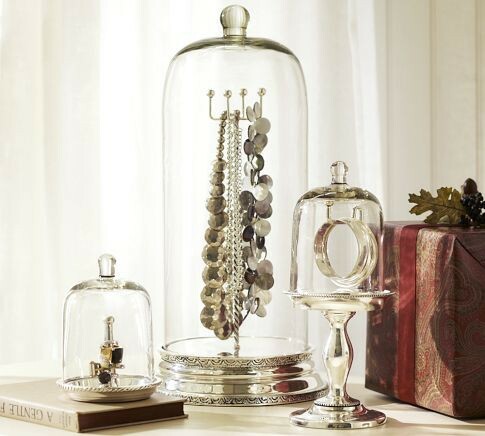 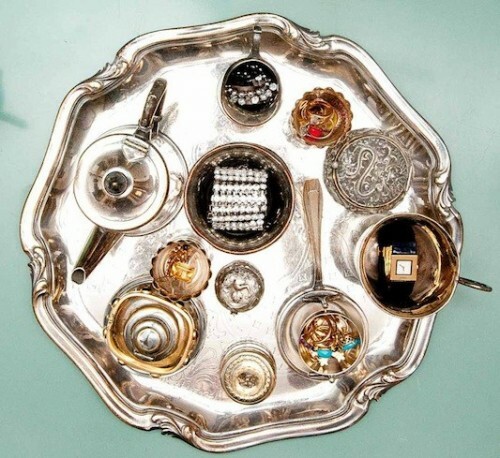 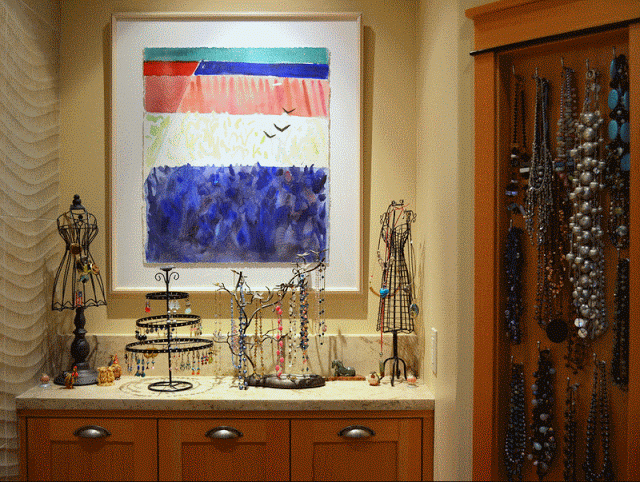 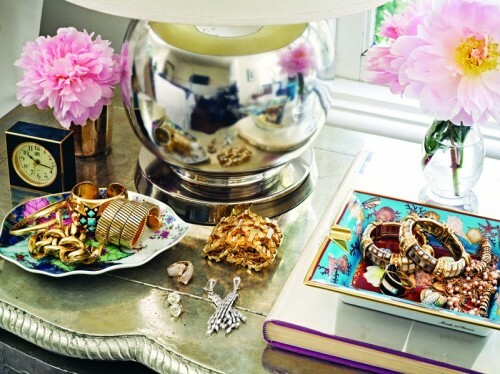 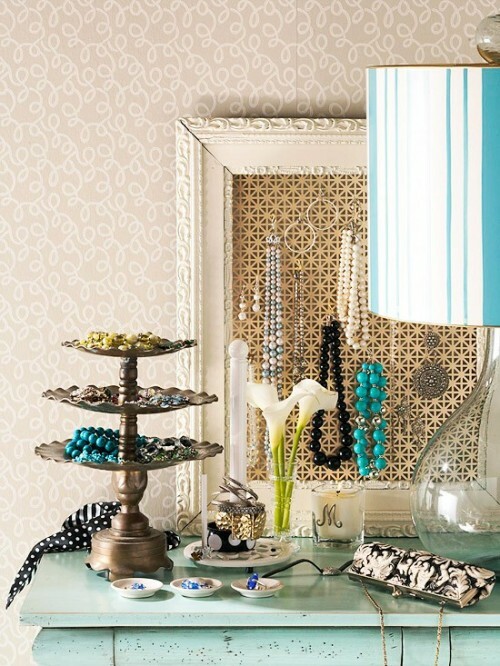 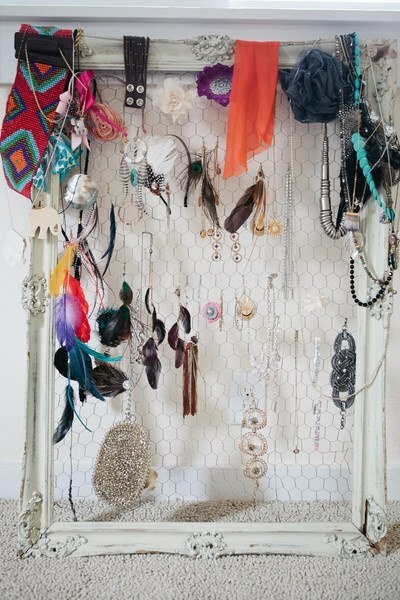 Take a look through all these fine examples of jewelry organizers and storage solutions. 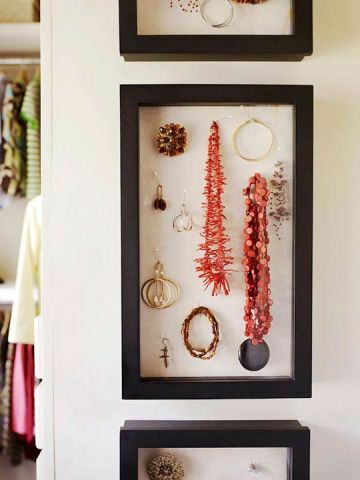 You definitely will find something that will work for your collection. 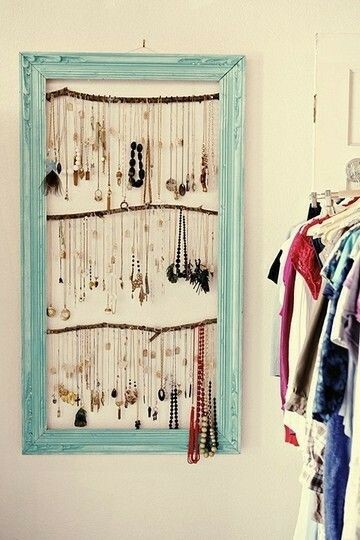 Don’t forget to hang a mirror nearby!